Ever wish for a Florida vacation without all the crowds? Then, Hutchinson Island may just be the perfect travel destination for you. Located off the east coast of Florida, the unspoiled Hutchinson Island offers something for everyone in the family with its miles of beautiful beaches, historic sites, outdoor recreation and lively arts and culture. One of the most popular attractions on Hutchinson Island is the House of Refuge at Gilbert’s Bar, a former life-saving station once used to house stranded and shipwrecked sailors. 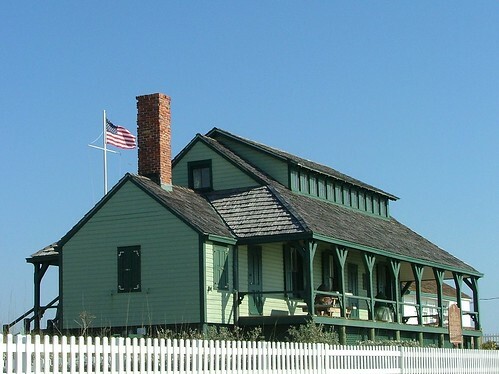 You can tour this restored house to view the keeper’s quarters, parlor, bedroom, kitchen, dining room and boathouse as well as a collection of maritime artifacts. Hutchinson Island boasts numerous beaches that range from remote and unspoiled to crowded and full-serviced. Some of the more popular beaches include Stuart, Jensen, Isabella Park, Bathtub Reef, South Causeway Island and Pepper Park. Located nearby main attractions and hotel accommodation, these beaches all offer showers, bathrooms, ADA accessibility and fun activities like swimming, snorkeling, fishing, kayaking, volleyball, tennis, basketball, picnicking and more. The more remote beaches like Bob Graham, North Jetty, Bryn Mawr and Fletcher offer wildlife viewing opportunities in addition to peace and quiet. Named after inventor, Sterling Elliot, this museum complex showcases the history of the local area as well as several Americana exhibits such as baseball memorabilia, early transportation, music and a recreated soda shop. Situated over 57 acres, this family-friendly nature center features a 750,000-gallon fish lagoon, coastal reef aquariums, touch tanks, nature trails and a Children’s Activity Pavilion. Here, you and your children can encounter starfish, sea turtles, sting rays and a plethora of other fish and marine species. A must-do on Hutchinson Island is spend time strolling along Historic Downtown Stuart, which features a wide cheap viagra 100mg canada variety of sidewalk cafes, gourmet restaurants, art galleries, upscale shops and bargain boutiques all housed within rows of colorful, historic buildings. Hutchinson Island offers plenty of choices for arts and culture such as art galleries like the Steinhausen Gallery Art & Design where you can view both local works and fine art from around the world. You can experience the history and culture of the area through lively exhibits of antique furniture, vintage clothing, maps, journals and photographs at museums like the Stuart Heritage Museum and the Courthouse Cultural Museum. Children can enjoy learning about the area through fun, hands-on activities at the Children’s Museum of the Treasure Coast. The Lyric Theater and the Sunrise Theater are both beautiful historic theaters where you can enjoy live performances of concerts, plays, musicals, dances and more. With a wide variety of state parks, there is no end to the outdoor fun you can experience on Hutchinson Island. For example, the Avalon State Park offers swimming, fishing, seashell collecting, kayaking, canoeing, hiking trails and birdwatching. Noted for its prime surfing conditions, the Fort Pierce Inlet State Park also features a coral reef ideal for snorkeling. At the St. Lucie Inlet Preserve, a boardwalk takes you through miles of mangrove forests and hammocks of paradise trees, cabbage palms and wild lime trees where you can also view wildlife. The Manatee Observation and Education Center features an observation walkway and tower where you can enjoy watching manatees, dolphins, terns, pelicans and more. Hutchinson Island experiences a climate of hot, humid summers and mild winters. While the area does receive plenty of rainfall dispersed throughout the year, Hutchinson Island generally provides more than 230 days of annual sunshine. Ready to visit Hutchinson Island? You can begin your trip today by checking out the great deals that are available online today.